Are cellulose nanocrystals harmful to human health? The answer might depend on the route of exposure, according to a review of the literature, but there have been few studies and many questions remain. 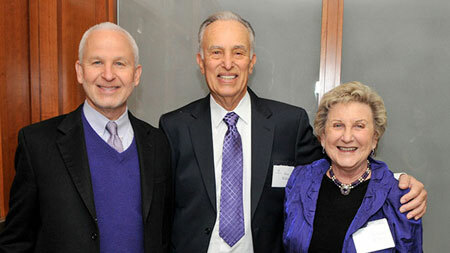 A new $10 million gift from Ronald and JoAnne Willens to Northwestern University's International Institute for Nanotechnology (IIN) will establish an interdisciplinary research center that will use advances in nanotechnology to develop new cancer treatments. It will be one of the first centers of its kind in the country. Operating Committee of Materials Science-2015 invites researchers, academicians, scientists, Institutions, corporate entities, associations and students across the world to attend the 4th International Conference and Exhibition on Material Science and Engineering during September 14-16, 2015, at Florida, USA with the theme 'Highlighting and Focusing on future prospects in Materials Science & Engineering'. 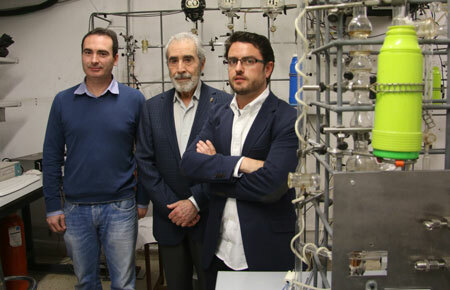 Researchers have shown that it is possible to prepare methane hydrates in a laboratory by imitating, and even enhancing, natural processes through the use of activated carbon materials as nano-reactors. Preserving the fragile quantum property known as entanglement isn't necessary to reap benefits. A three-year US-Ireland collaborative scientific project aims to reduce power consumption and increase battery life in mobile devices. Researchers will explore new semiconducting materials in the miniaturisation of transistors which are essential to all portable devices. If you put a camera in the ice machine and watched water turn into ice, the process would look simple. But the mechanism behind liquids turning to solids is actually quite complex, and understanding it better could improve design and production of metals. 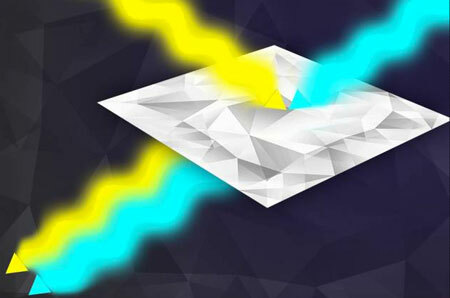 By applying extreme pressure in a diamond anvil cell to metal films on diamond, researchers have now determined the physical process dominating this unexplained heat flow, which has implications for understanding and improving heat flow between any two materials. 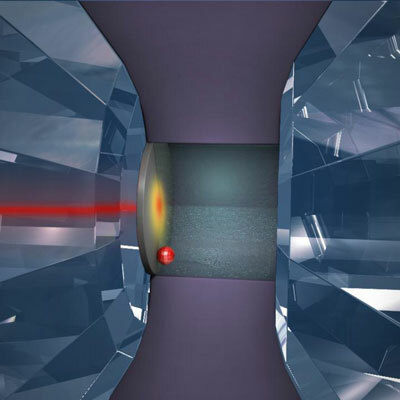 Applied physicists have demonstrated an unprecedented method of control over electron spins using extremely high-frequency sound waves. 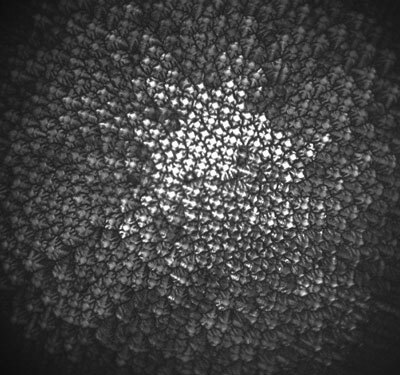 Using carbon composites with a porous structure to increase surface area and nanotubes to enhance conductivity, research demonstrates that these nanomaterials are able to catalyse oxygen reduction as efficiently as the state-of-the-art non-precious metal catalysts - and with a longer stability. 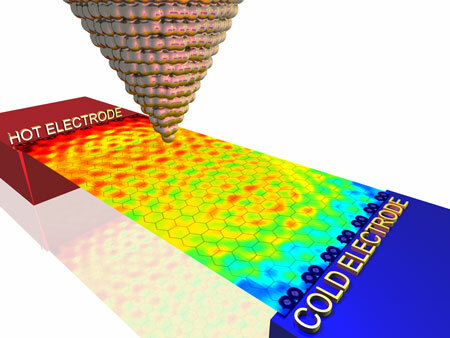 Researchers have shed new light on the mechanisms of thermal conductivity in graphene and other two-dimensional materials. 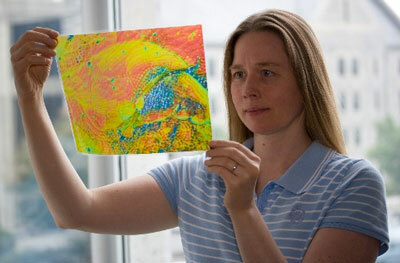 They have demonstrated that heat propagates in the form of a wave, just like sound in air. Researchers studied dendrite formation by using a miniature electrochemical cell that mimics the liquid conditions inside a lithium-ion battery. 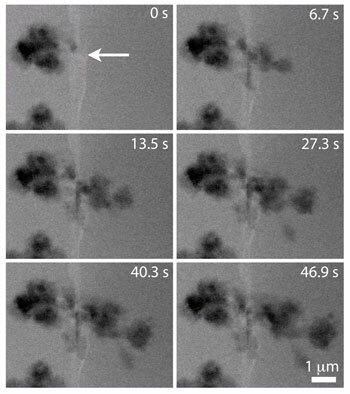 Placing the liquid cell in a scanning transmission electron microscope and applying voltage to the cell allowed the researchers to watch as lithium deposits grew into dendritic structures. A developing form of computer memory has the potential to store information more quickly and more cheaply, while using less energy, than what's used today by the semiconductor industry, NYU Physics Professor Andrew Kent concludes. A collaboration of physicists and chemists has discovered that temperature behaves in strange and unexpected ways in graphene, a material that has scientists sizzling with excitement about its potential for new technological devices ranging from computing to medicine. Researchers have used an advanced model to simulate in unprecedented detail the workings of 'resistance-switching cells' that might replace conventional memory for electronics applications, with the potential to bring faster and higher capacity computer memory while consuming less energy. 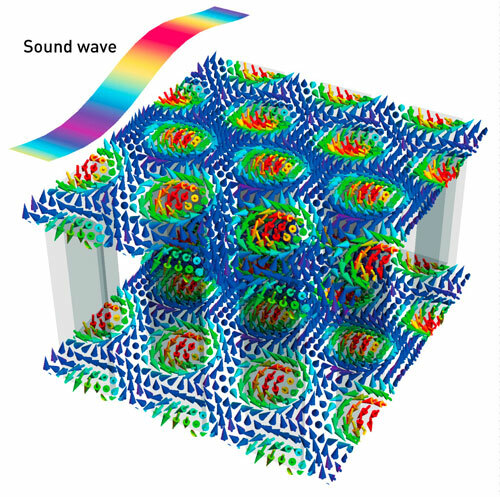 The use of sound waves to probe nanoscale magnetic whirls called skyrmions could help to develop next-generation memory and data storage technology.